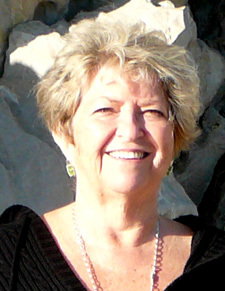 Liz has lived most of her life in Los Angeles except for the 15 years she spent in Germany teaching for the Department of Defense Overseas Schools. 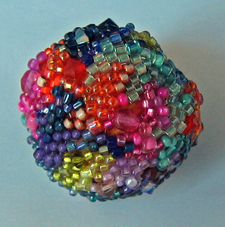 During numerous trips to Venice, Italy, she became fascinated with beads and their possibilities. Liz finds inspiration everywhere. Liz relishes the freedom of starting with a simple idea and the excitement of letting the beads dictate the shape and form of the finished piece. Beading has become both her passion and her obsession since retiring from the elementary school classroom three years ago. She loves creating a piece of jewelry that causes people to stop and stare, to reach out, and touch. She enjoys sharing her work, exploring her creativity, and expressing herself as her jewelry connects her with others.